Today, I am very happy to welcome a dear friend to my space. Simran Dhaliwal is a blogger I met via the facebook group, Marathon Bloggers in December 2013. Simran is a decor and design blogger who writes lovely, eye-popping posts on how to dress up your home. The personal touch she brings to her posts just mirrors her warmth as a person. Although we live in the same city, we haven’t met in person yet, a fact I hope to remedy soon! 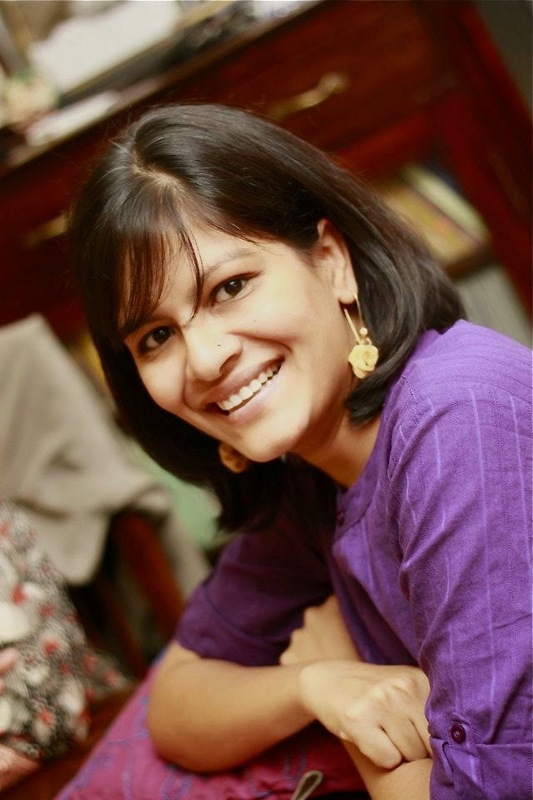 Please welcome Simran who will give you some grand ideas which you can effectively use to style your kids’ rooms. Thank you, Simran, for writing this post. I am an engineer by degree. I have worked in the IT industry and as a curator for an online marketplace in the past. Currently, I am a freelance writer and a blogger. I love books and if there is one thing I want to pass on to my son, it is the love of reading. I consider myself an amateur photographer, a traveller at heart and a runner. I will be running my first half marathon (21.1 kms) this year! I am lazy yet organized, a passionate perfectionist in some areas and a procrastinator in others. I blog at Simz Corner which mainly deals with decor – personal and inspired, photography, food and travel – it is a visual blog – so you’ll see a lot of pictures!! Chips n Chutzpah caters to my other interest – writing. It has stuff from my daily life, thoughts, opinions on everything under the bright blue sky and updates on raising N.
We recently bought an apartment and moved in a little while ago. The interiors had to be done and we did a lot of thinking, planning, researching for that. The room that took the maximum time in terms of conceptualizing, shortlisting ideas, designs and practically getting it done was my son’s room. Because we wanted it to be fun for a 6 year old and yet not very kiddish or too boring. We wanted to give him a decent space to play, to run, to jump, to sleep. We wanted to incorporate things that he wanted – an area to play, to keep ALL his cars, his super heroes and a place where his friends could sleep when they came for a sleepover. I am not a huge fan of cartoon characters – on walls or clothes. I think they are best left to the television. So the cartoon characters were pretty much left out of the walls and the furniture. Yes, the bedsheets have characters on them. That I can live with. Choose your battles, as I say for most of the things in life! For this guest post on Shailaja’s blog, I thought why not go ahead and share some ideas on how to do up your kid’s room! Books are always nice to have around. 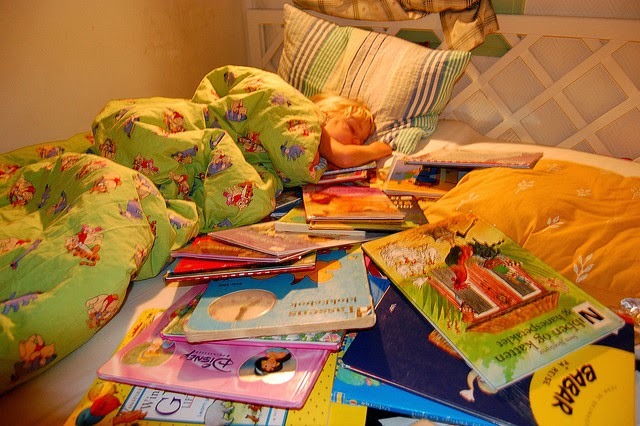 It doesn’t matter if your little one is too little or doesn’t read too many books. Having a bookshelf or bookcase around in the room helps in a whole lot of ways. Books make the room look colourful, they give kids – your own and the visiting ones, an option for an activity. They help inculcate a habit of reading and the patience to sit and read. If your child is young, then try and incorporate a reading time – could be 15 minutes, could be 30 minutes in a day, of sitting and reading together. At first, it can be opening books and pointing at pictures and you reading out short poems or stories to them. Then it can move to you reading out loud for them with more words and eventually moving to them reading on their own. My son and I read every night. We have done this since a few months after he was born. That is our special quality time together. He loves it so far and so do I! 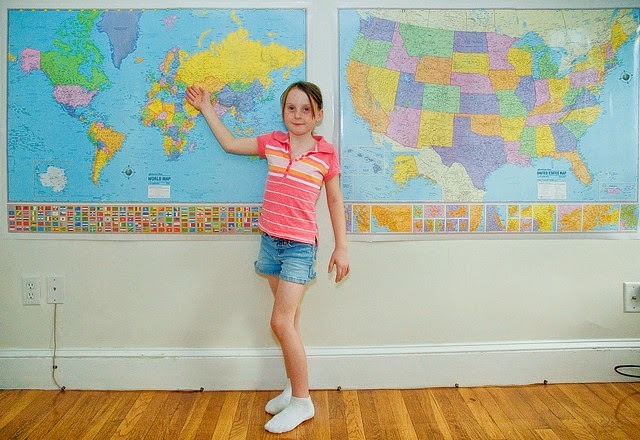 Maps in the room result in a whole lot of learning in a fun way. Continents, countries, oceans, capitals are easier to see and learn. The concept of countries, states, cities becomes easier for the kids to see, grasp and learn especially if your child is a visual learner. I also feel that having maps or globes in your house bring in a love and longing for travel and a sense of adventure into your life! I remember playing at a friend’s house when I was about 8 or 9. We used to play the student-teacher game and give each other sums to do on the chalkboard wall she had at her place. We did a lot of our spelling revisions on that wall 🙂 Oh boy, that was so much fun and I have wonderful memories of that. Drawing on a chalkboard wall could be a lovely bonding time or even quiet time activity for the child while you are busy finishing something off your task list. In addition a write-able wall makes it easy for you to write down tasks or activities for morning or bedtime on the wall. Easy for everyone to see, read and follow. So essentials like brushing, bath, getting ready, making your bed can go up on the chalkboard wall for your kid to see each morning and check off every activity once they are done. A great way to provide a prompt-free, self-learning environment for the child. It also helps in establishing a daily habit and routine which is fuss free for you too. 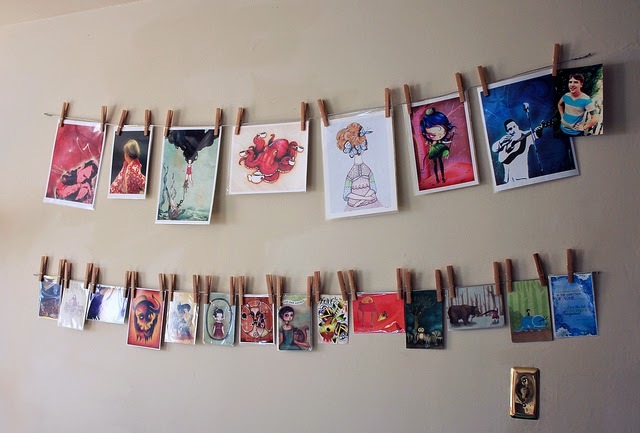 If you are the arty crafty kinds then make your own wall art for your child’s room. Before you shake your head thinking, “Nah, not me!” do read this part. Some of the ideas on the Internet are super easy and so much fun to do with your child. You can use stuff lying around the house for your art work. 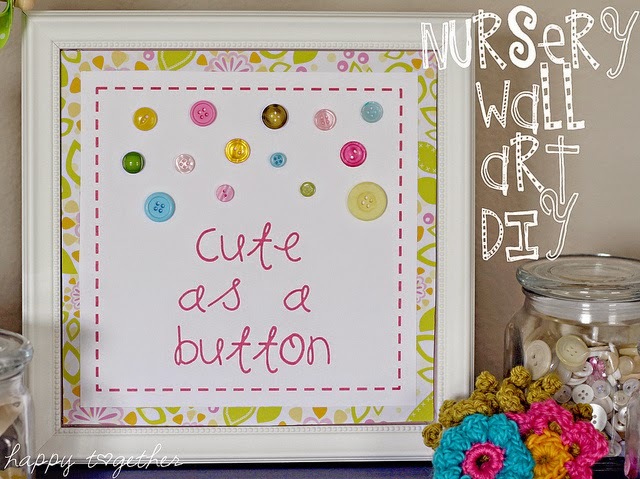 Think, buttons, threads, crayons, fabric swatches, paints, pencils, pictures, your child’s favourite cartoon characters printed out or favourite book covers. Make an activity out of it, do a little bit every time and frame it and put it up. It could be your kids hand prints on a canvas, buttons out of his or her old clothes put in their favourite shape or words, splatter painting with a brush on a canvas, paper or magazine cutouts of their favourite things, food, people put together and stuck on a simple chart paper – endless possibilities there. Display their art too. Kids love to show what they have done and it is a big confidence booster. We put up my son’s artwork on our fridge. But another way to do it is to put it up on strings with clothes peg. This way you can also change the artwork periodically. Enjoy decorating your child’s room!! Do share any other ideas with us here. Feel free to reach out to me for help, suggestions or shopping store suggestions in Bangalore. those are wonderful ideas, I loved the chalkboard idea. I think it's very sensible to have one in Kid's room. Great ideas, Simran. Where can one get chalkboard paint? Loved the ideas. We have some of them but the map is a super one I'm going to borrow from here. Simran, Shailaja..thank you. I'm also a fan of family photographs and we have loads of them around the house. Oh and one more thing- a soft board is great too. I give them themes according to which they have to do it up using pictures from old magazines or artwork. Great fun it is. Don't know about the paint but I've seen chalkboard stickers and chalkboard wall decals at Amazon, if that's of any help :-). Thank you Kathy! 🙂 That is a favourite here too, at home! Most of these branded paints like Asian paints or Nerolac sell chalkboard paint and even come and paint it if you want to use that service. I am not too sure about the local paint wala guys and if they will do it well! And yes and Tulika says the stickers and decals are available on a couple of online websites. Yes family photographs are a lovely way to decorate any place. Soft boards are a great medium to showcase all that creativity. Have fun!! Thank you Shilpa!! Collages are super fun to make too, aren't they? Parenting rules are all fine and fun, as long as they are made by the parents. For the kids, the exact opposite is true. Hear it from the kid's mouth in this adorable guest post! As parents, do you make the effort to learn together with your child? It's incredible how much they can teach us. One mom shares her experience of co-learning that her daughter taught her.